The NC100 was bought purely to help me with the Electron User Group, to keep track of the members and subscriptions. It meant that I could keep the files up to date while on the move. File transfer between my home based computer and the notepad was via the RS423 port on BBC Master and the RS232 port on the NC100. I wrote a comms program for the BBC Master to facilitate the transfer. It didn't take long to find that the memory of the NC100 was insufficient so an upgrade was called for - a 128K PCMCIA memory card. I still have this little computer, it has an excellent word processor and address book. After reading Tim's web site (see below) I decided to transfer a small basic program I wrote years ago....When the National Lottery was introduced, Nov.1994, I think just about everyone wrote a number selector program - I was no exception. I made up a lead to connect the NC100 to my PC, used Hyperterminal, xmodem protocol and hey presto here it is. 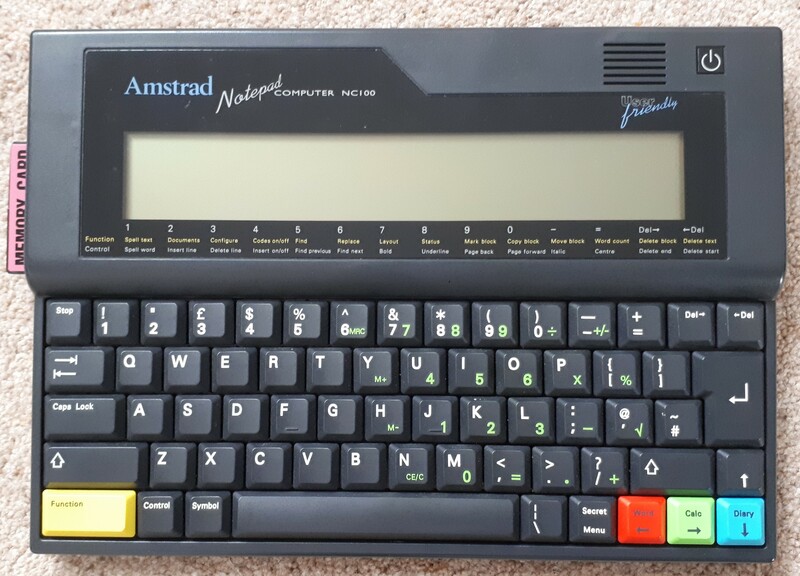 visit Tim Surtell's Amstrad NC Users Site. To transfer files between the NC100 and a PC you will need a cable to link them and terminal software. The NC100 has it's own Terminal program - press FUNCTION S, and Windows has Hyperterminal. 9600 Baud, 8 Bits, No Parity 1, Stop bit and Handshaking ON. To set these on the NC100 enter the terminal program, "FUNCTION S" and then press the Secret/Menu button. Just scroll down and change the settings as necessary. The settings for Hyperterminal are done at startup when you first create a profile for the link. 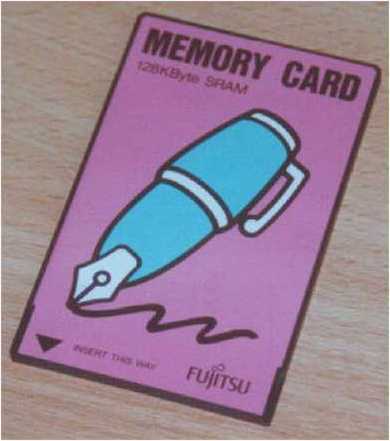 For reliable file transfer (and for binary files ie. Basic) it is recommended to use the Xmodem protocol. The NC100 uses an older version, Xmodem/Checksum and Hyperterminal uses Xmodem/CRC although when receiving a file Hyperterminal will automatically drop down to Xmodem/Checksum after a short period of time (for me Hyperterminal displayed 2 re-tries). Please note that when using Xmodem you start Sending the file before you initiate the Receive (the opposite of ASCII transfer). Below are the pin connections to connect a NC100 to a PC - 9 Pin to 9 Pin female 'D' Type connectors - also known as a Null Modem cable.